The AUC’s Gerhart theater produced Saadallah Wannous’ play, ‘Rituals of a metamorphosis’ in the fall of 2011 that was a great success. Below, a review by Farah Montasser, Al Ahram Online, October 28th, 2011. Held at the Gerhart Theatre Hall at the American University in Cairo (AUC), the Department of Performing and Visual Arts of AUC presents “Touqous Al Asharat waal Tahawalat” by one of Syria’s late leading contemporary playwrights, Saadallah Wannous, directed by Effat Yehia. Considered controversial, “Touqous Al Asharat waal Tahawalat” (Rituals of Signs and Translations) was written in 1994. In a very interesting and successful approach, Wannous criticises the politics and society of the Arab world through an expose of a city’s political and social corruption. The arrest of the “Naquib” for an immoral act incites a series of unanticipated events that uncover a city’s scandalous secrets and brings about startling transformations, changing a politician’s daughter and aristocratic young wife into a prostitute, the corrupt into the spiritual, and the hypocritically pious into the worldly. 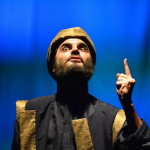 The play is set in a city during Ottoman rule, as originally written by the Syrian playwright, but saw an Egyptian reshuffle to suit AUC’s audience and the current uncertainty within the country. 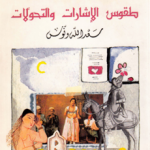 In the household of a wealthy orthodox governor of the city, always proclaiming to be a religious aristocrat, Warda (Sandra Guirgis), the maid, commits adultery with the governor, his son turns gay, and his daughter becomes a prostitute to free herself from oppressive traditions that tie women down and deny them freedom. 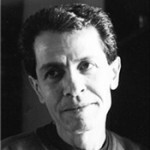 Among the younger generation in the audience, giggles were heard whenever certain characters made it on stage, including the gay Afsa for his comedic approache and attitude, the Nubian Abdo (Hassan Abou El Rouss) for mastering the Egyptian-Nubian dialect, and Warda for her local attitude. Guirgis’ acting skills transformed her into a young woman who has lived in one of Cairo’s alleys all her life. The director of the play, Yehia, managed to engage the audience in the story by her choice of an ‘Environmental Stage Set’ in the theatrical term, placing the audience in the middle, surrounded by the stage on all sides … an atmosphere that blended observer with the characters and scenes of the play. Besides the decor, Yehia also added some famous soundtracks by the late Egyptian actress Souad Hosni “Bano Bano” (Appear Appear) in her film Shafeeqa we Metwali that carry the playwrights’ message as well as making the script more Egyptianised. Struggling between traditions and religion, Wannous showcases with his characters how society can be reshaped. Wannous criticises the hypocrisy of an Arab society that always must maintain public virtue, but when behind closed doors breeds nothing but corruption.